Speedy service.Excellent presentation and good quality. It fitted really well and the leather was very comfortable. It looks and fells amazing. Great watch, no faults, perfect fit. A perfect gift for my boyfriend! So classic and simple - goes with formal and casual wear. A brilliant quality watch - the leather is a lovely colour. Its a beautiful watch and so my boyfriend was thrilled with it. Excellent service from the watchshop. Thank you! A well balanced and good looks bg watch. Perfect for office or evening wear. As well as being very reasonably priced. Perfect gift for my fiancé! He loved it, Love the colour of the strap too, I was afraid it was going to be a bit too dark but it was perfect. Very efficient delivery! Excellent service - dispatched within 1 hour of ordering! Delivery very fast. This watch is my favourite style. I really like it. Great! 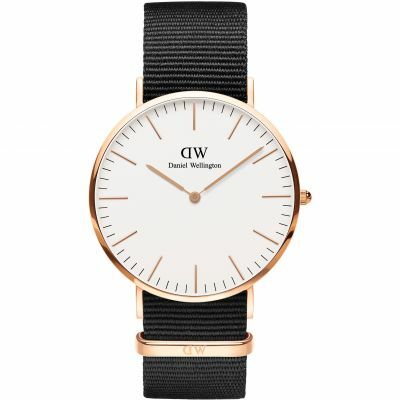 The DW St Mawes is a beautiful looking watch. The large face is very masculine and the rose gold detailing gives a real sense of luxury. Often overlooked yet just as important, the strap is flawless.Thick leather with a handsome looking buckle and tail catches. There is no second hand, so the hands glide silently around the dial which is described I believe as cream, but is much closer to white. 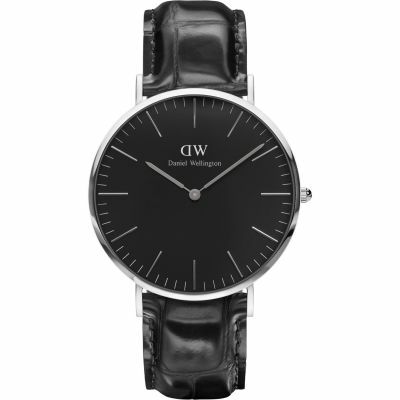 This looks like a £1000 watch in my opinion and I will shortly be ordering another in silver and black. 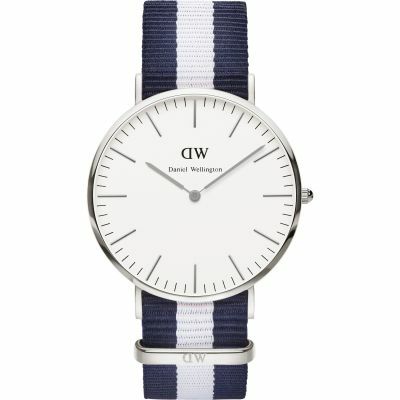 I bought this with a Women watch as a surpised gift for my gf on the International Womens Day. The two watches are both wonderful with nice case and strap, but also good prices and great collection service from Goldsmiths and great repair commitment from The Watch Lab. Great service. Speedy and good price versus the stores. Thoroughly recommend them! The perfect watch! Have spent a lot of time looking for the perfect watch to wear both formally and non-formally and this is definitely it. 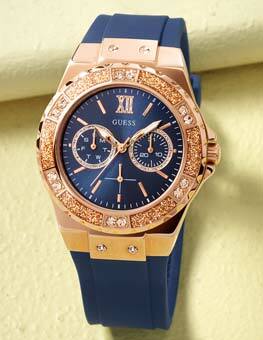 The rose gold and large face are stunning and the leather strap looks incredibly classy and expensive too. The option with the interchangeable straps adds another great feature to this watch. 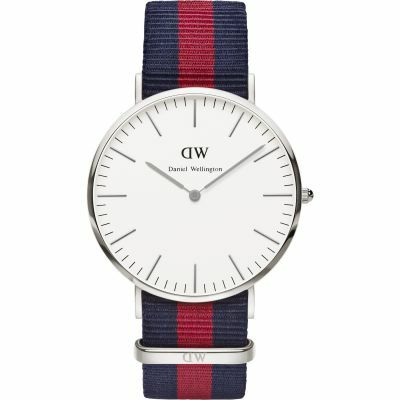 Would recommend this watch to anyone thats looking to get a watch that will stand out. Have worn it out only a handful of times and have already had comments from friends on how much they like it. The packaging also adds to the sophisticated look of this watch, it would be great as a gift. Great service from watch shop also, came next day free of charge, cant recommend them or the watch enough. Excellent watch, classy and stylish. Perfect present! Ordered this for my boyfriends birthday. 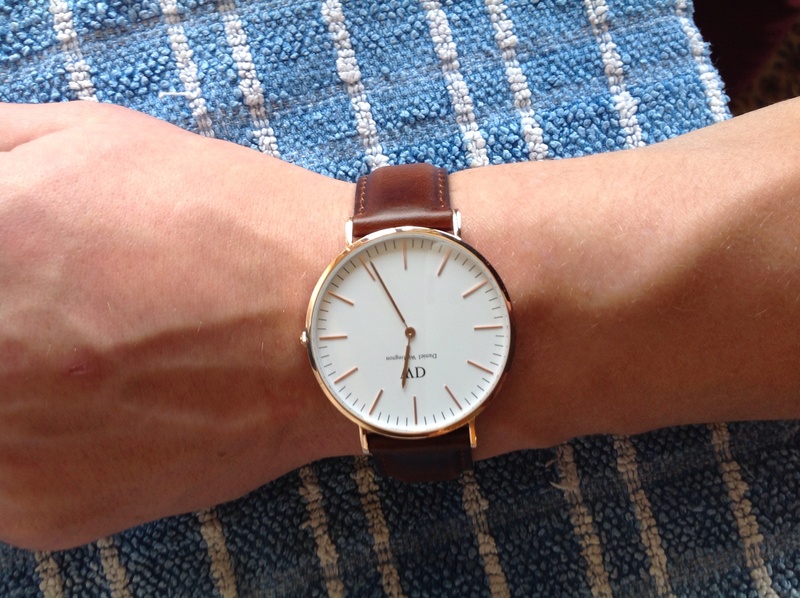 Beautiful and elegant watch - I ordered the brown strap which is true to colour on the pictures on the site. The quality of the leather is very high, and when he first tried it on the straps were very stiff, but with a bit of body heat and wear it has softened so it fits his wrist better. I think the design is very sleek and looks superb on. 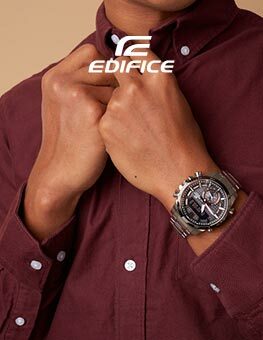 The clock face itself is a little on the big size, and when on his wrist more or less covers it completely, so bear that in mind when chosing this watch. He absolutely loved the watch! Really adds to the sophisticated looks he aspires to have. 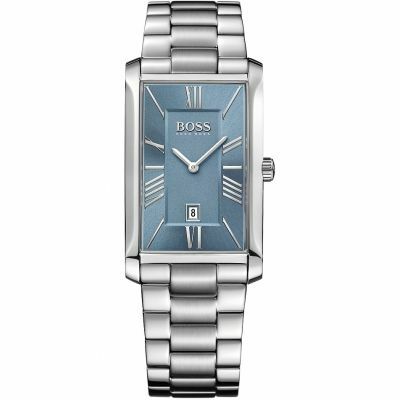 I have recently purchased this watch for a valentines day present, I am completely made up with it!!! 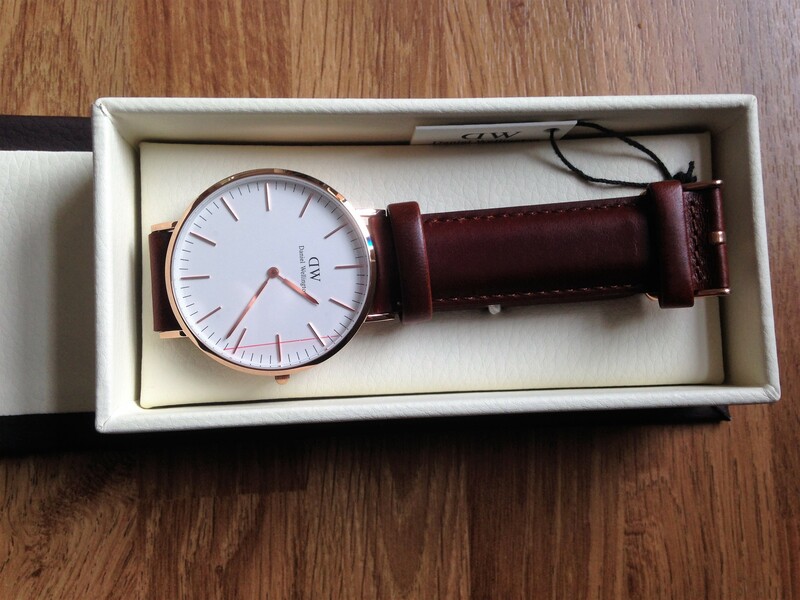 it looks even better in person the rose gold is soft and creates a really classy look and compliments the brown strap. It is well presented in DW box and I cannot wait to give it as a gift. Overall service has been excellent arrived the very next day! Thank you watch shop, Ill have a very happy boyfriend ! Good watch. It arrived on time. Excellent!! Excellent Service and Gorgeous Watch. Next day delivery even to non-mainland UK, Price was significantly reduced to compared to highstreet stores even those with sales on. Watch came in gorgeous box too- perfect gift at a reasonable price! Will be purchasing from Watch Shop again though this time it will be for me! Fantastic service. Speedy delivery. Great watch. Will definitely order again. Great service from the watchshop. Watch is just as described . Stunning watch. Stylish, simple and classy. A timeless time peace. My son was over the moon with the gift. This is a exactly what I was expecting. 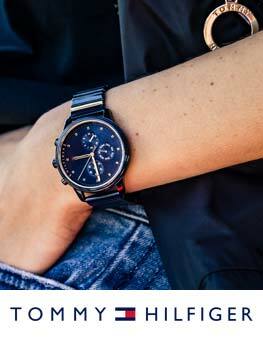 The watch face is Slim line & classic style, with nice leather strap. Great style to wear on daily basis or for an occasion. Bought this watch as a Christmas present for my other half. Am sure he will love it. Received this watch quickly and was pleased to get free delivery. Looks and feels amazing, and has received compliments from everyone who has seen it. This is the second watch I have bought from the Watchshop. On both occasions I have made big savings on the high street and the delivery has been very efficient. Would def recommend. Im extremely happy with this watch it came on time and my boyfriend loved it! Speedy service and great pick up! sleek smooth stylish understated finish. prefect addition to suit up wedding!! 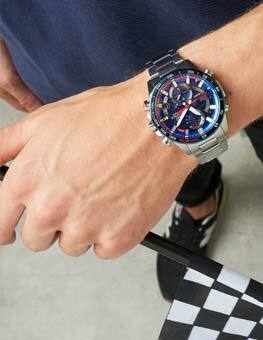 Great price for the model and brand, after doing several price comparisons I found The Watch Shop to be the most competitive. Quick and efficient service with regular updates once I had purchased the item. Product arrived exactly as described and shown on the image and I am extremely happy with it. I will defintely be using the Watch Shop for my next watch purchase. I couldnt recommend The Watch Shop more! Great looking watch that arrived quickly and safely. Watchshop prices are very competitive and i am very happy with the watch. I own several more expensive watches and i where this one as much as the others. This watch is beautiful, If Im being completely honest. 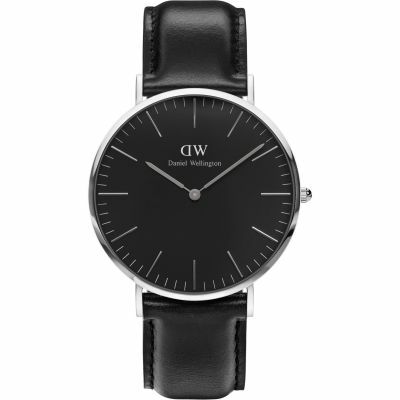 I love the style of this watch its very sleek and classy. It fits perfectly on the wrist and just looks amazing. I love the brown colour and the gold together it fits perfectly together and the leather wrist bound. I just like the look of this watch. Bought it for my husband. He really liked it. Classical stylish head turning watch. Comfortable to wear with leather strap looks great with casual and smart wear. 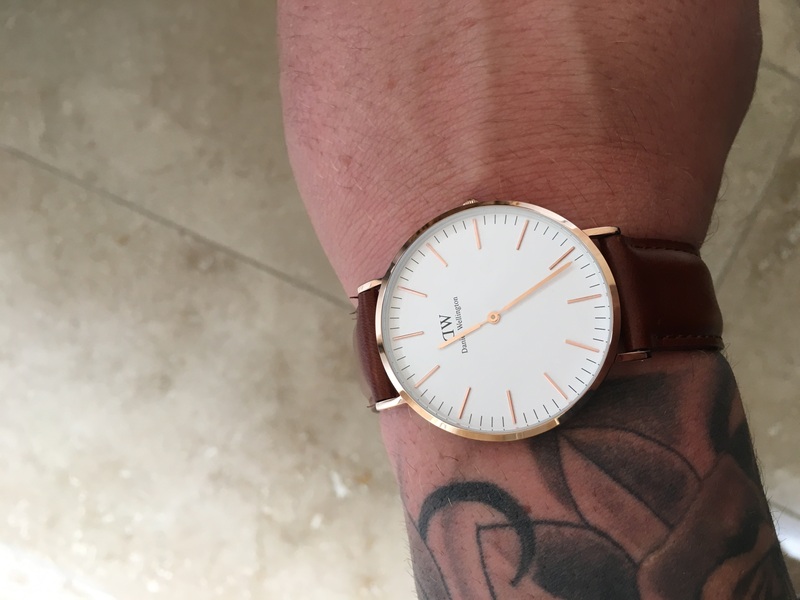 Was very pleased with the watch, my boyfriend loves it! Its very simple and looks very expensive. The face is quite big but really works, and its very flat which is great, makes it look very sleek. 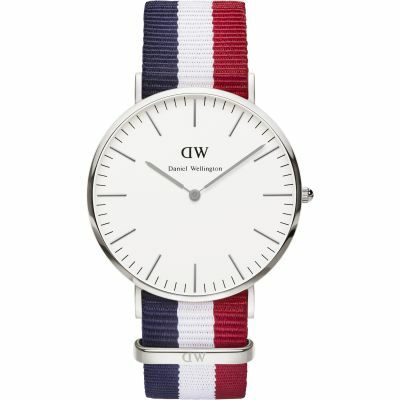 This watch is a Fathers Day present so the recipient hasnt received it yet. But he is going to love it. 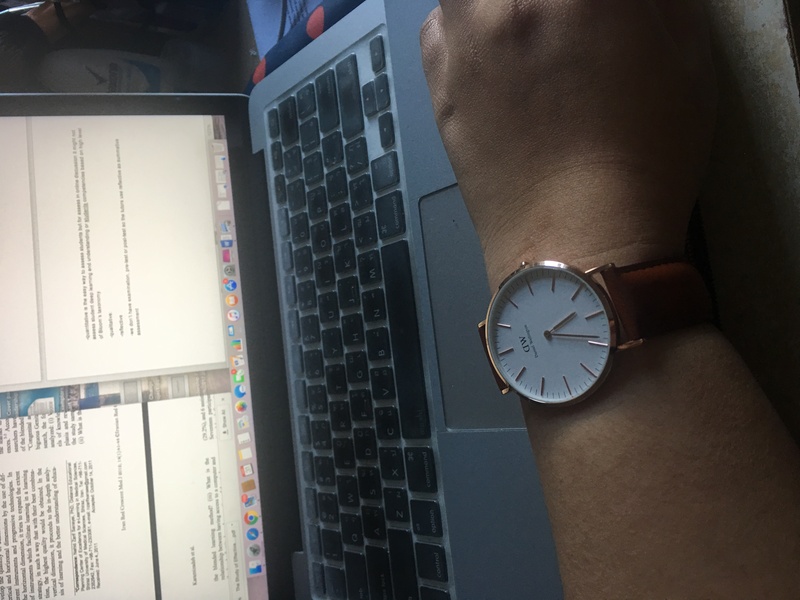 The watch itself is absolutely stunning, beautiful rose gold casing with a cream face, the strap is a tanned leather altogether a beautiful look, it comes in a lovely leather box, what more can I say I just know my husband is going to love it. Im so very pleased it surpassed my expectations, would I buy one for myself ?absolutely. 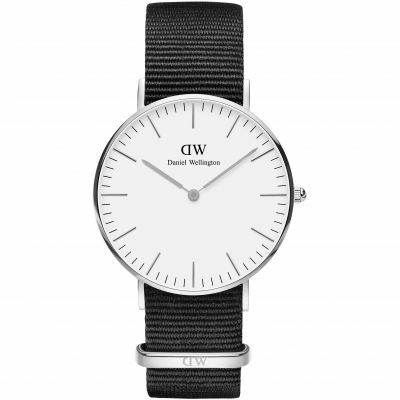 Brought a Daniele Wellington mens watch as a gift for my husband to be. 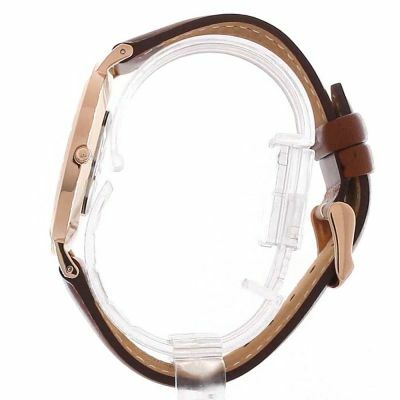 Very good quality leather brown strap with a rose gold rim on the face of the watch. 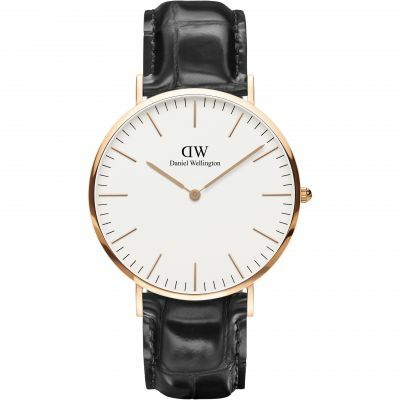 Its very classic looking watch and came in a lovely box which also was really good quality there isnt any thing that I could fault about this watch. Very pleased! 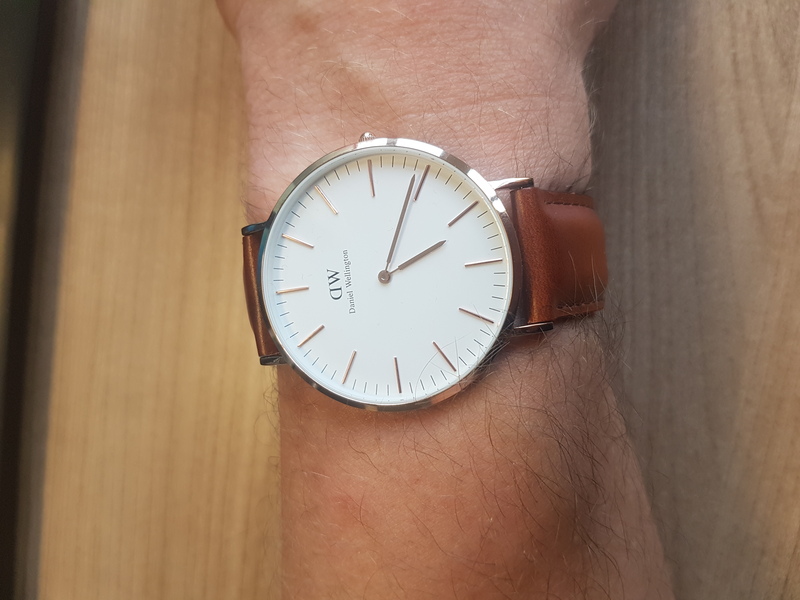 Its a very nice watch - the face was a little to large for my liking, as its so simple in design it looks a bit like its made for people with bad eyesight though! The watch arrived in good time/condition. It is a lovely elegant watch. The face is a fraction larger than I anticipated but is still fine. When looking for a watch for my son, I needed something that showed sophistication and class, as well as a watch that would be of a high quality. If this sounds familiar then look no further than this Daniel Wellington timepiece. With a face large enough to stand out but not so big that it is draws the attention away from its quality, it is a watch that oozes style. 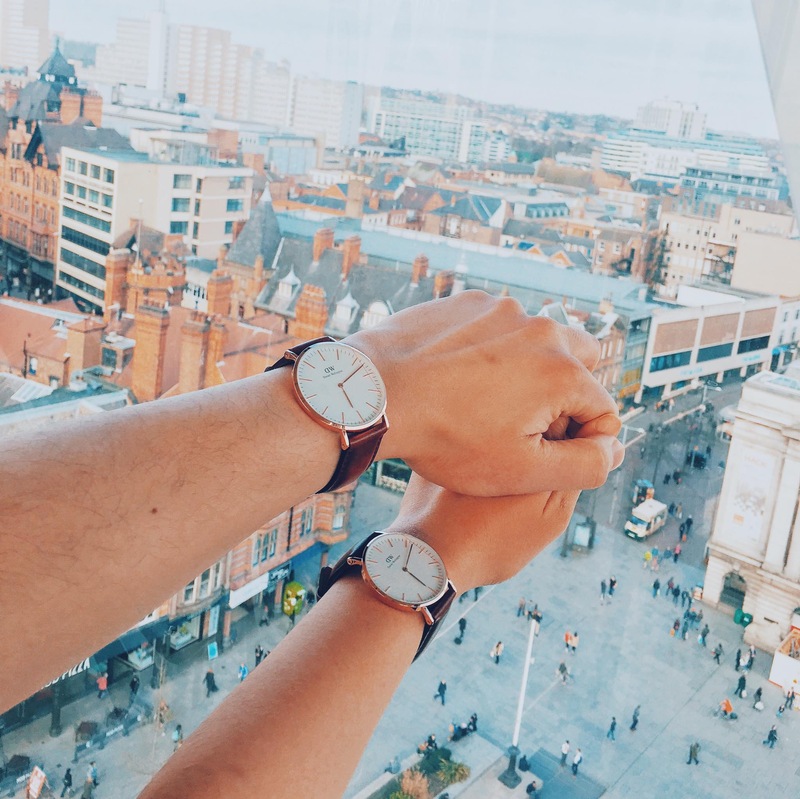 The leather strap is strong enough to endure even the most stressful of jobs yet so soft that sometimes you can forget its even on your wrist. The subtle colouring is perfect for his job hes a company director and even though it is a name he didnt recognise, the sheer quality of the product proves its worth. The face is slightly feminine in colour white and rose gold however it is definitely not a female watch in stature. The Japanese Quartz battery means you will rarely have to change it and with a water resistance of 30m it is suitable for anyone regardless of hobbies or jobs. I would highly recommend this watch for anyone who is looking for a gift that is special and will last. A beautiful piece that reflects quality and character and that will please any family member, friend or loved one.